Oue Hospitality Trust, a real estate investment trust announce they will do a rights issue to acquire Crowne Plaza Changi Extension (CPEX). Last year, the trust did an acquisition of the first part of the extension and this CPEX extension continue that plan. The REIT will offer to existing shareholders at a significant discount to the pre-announcement share price. Sponsor OUE and related will also subscribe to the rights issue. 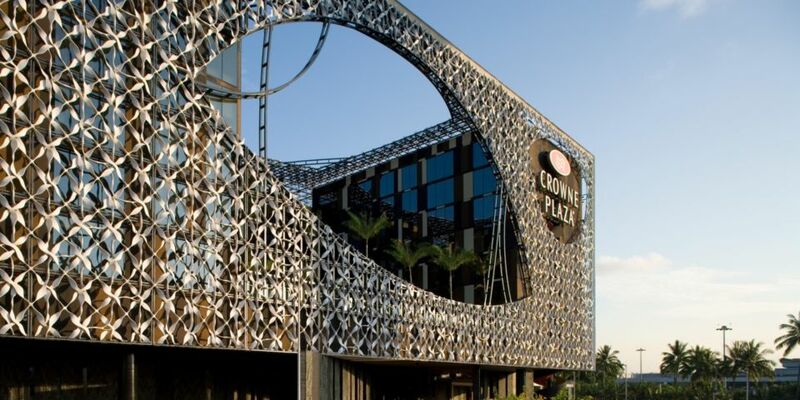 After the purchase of the first phase of the Crowne Plaza Changi, the debt to investment asset went to 44%. This looks normal if you compare it to office reits, but amongst it’s competitors in the same region such as Far East Hospitality, CDL Hospitality, Ascott Residence, this debt to asset looks high. Certainly it is near the limit of 45% debt to asset set by the MAS for REITs. However, factoring the cash and other current assets, the net debt to asset does not look as bad at 40%. The key thing for existing shareholders is that post acquisition, the dividend yield will go down immediate. When there is a rights issue, existing outstanding share base expands, but net property income increases. Acquisition can be accretive immediately or not accretive immediately. Accretive acquisition usually happens when the net property income yield ( net property income/ price paid for property ) of the new acquisition is greater than pre-rights dividend yield. This isn’t the case for OUE hospitality. The REIT have been trading at below book value for some time, so the dividend yield is high for those who bought into the REIT the day before ex rights. To be accretive the asset will have to immediately yield more than the cost of capital. In this case, the pre-rights issue dividend yield is higher than the net property income yield of this extension. The usual way to fund acquisition is debt, placement of equity, rights issue of equity, preference shares which is equity. When a REIT is young, the cash flow is not extensive and cannot internally fund with the cash flow and debt. The asset also have not appreciate in value to have more headroom for acquisition. OUE Hospitality probably didn’t have a choice in that there is an agreement to acquire the Crowne Plaza Changi in 2 phases. This acquisition is under construction and the revenue might not be consistent. You have to wonder if this is the right time to acquire the asset versus when the assets are better performing. It is likely the climate does not attract preference shares placement. My observation of OUE based on how they carry out things at Commercial and in this instance is that the REITs made acquisitions based on income support, which is a form of financial engineering. There is nothing wrong if the support is for what eventually will be implemented and be able to realized conservatively. Ultimately, whether an asset enhances a portfolio is not determined now but perhaps further down the road. An asset’s total return is from dividend yield + capital appreciation and as such capital appreciation or dividend growth in a dividend heavy asset can be achieved through better management & optimization of assets, if the acquisitions are under-rented, comes with below market rents, superior growth in economy or demand. It is difficult to tell for newly listed REITs unless the corresponding manager have shown good track record of doing this in other REITs they manage. This might not always work. An example of one that works is how MGCCT have been manage up to this point. You can observe some traits of Mapletree’s management there. An example where a good management track record do not inferred good management in new REIT might take place in evaluating how Ascendas Industrial and Ascendas India is managed and deciding to put faith in Ascendas Hospitality. REIT investing for me, is about the numbers but also the sensing of what is important, which a lot can be seen through past results. In the case of OUE Hospitality, the valuation is attractive, but if I based on the timing and their propensity to load Crowne Plaza Changi into the REIT in such a challenging scenario and justifying it, I don’t think they are improving the REIT value here. It doesn’t help that the industry is challenging, but this is a fact of life. It is an opportunity to see if they are exceptional management.